With the colder weather upon us, you may already notice your heating bills climbing and they will likely increase into the winter months. Despite the inevitable spike in heating costs, there are actionable steps to take to ensure optimal performance of our home’s hvac systems. To help, here is a checklist of maintenance tips to save energy and money this winter. Monitor thermostat levels to maintain temperatures of comfort, turning the unit down while not at home. Getting a programmable thermostat can help to automate this process and are proven to save a considerable amount of energy and money over time. Make sure all moving parts are kept lubricated. Friction causes parts to work harder and use more electricity. It is important to keep all parts moving fluidly for the whole to work its best. Check your draining pan to make sure that the unit is draining properly. If the drain gets clogged, you may end up with water damage in your home. Change your filter regularly. It is recommended that you change your air filter once a month to ensure optimal performance. Inspect your gas or oil connections, check the pressure and the burner combustion and heat exchanger. In order for your unit to work properly, the parts must be clear of debris and clean. Be sure to enlist the help of a certified heating technician for regular heating systems maintenance to avoid costly repairs later on. Passion Heating and Air, a Johns Island HVAC company serving the Charleston SC area, is a leading heating repair Charleston SC company with 24/7 emergency services. 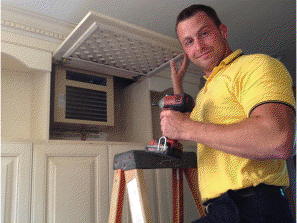 We have certified techs on hand ready to help you with your hvac needs.